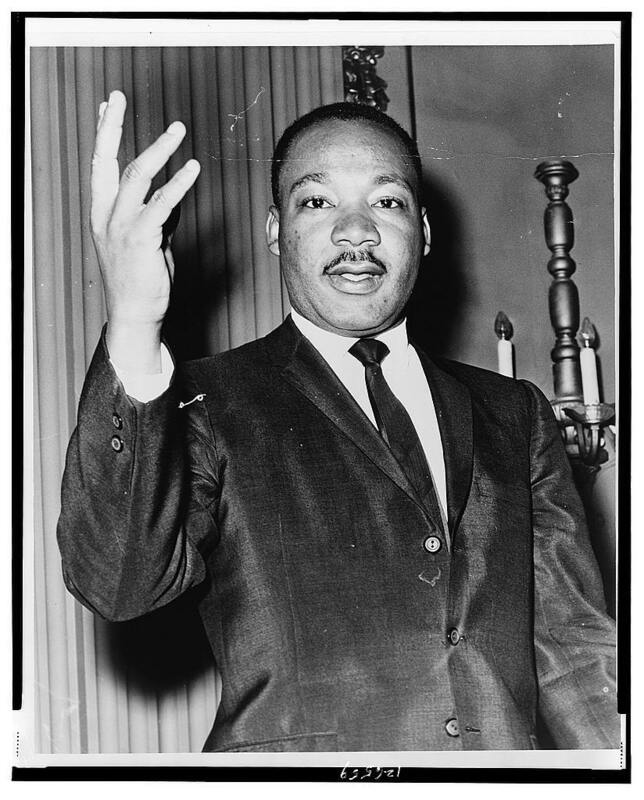 Above: Martin Luther King, Jr.
We must rapidly begin to shift from a “thing-oriented” society to a “person-oriented” society. When machines and computers, profit motives and property rights are considered more important than people, the giant triplets racism, materialism, and militarism are incapable of being conquered. People matter to God. That is an ethic I discern from many biblical passages, including pronouncements of the Hebrew Prophets and of Jesus. And so how we treat each other matters to God. Joseph may have been annoying, but he was still part of the family. Women are people, not marital property to discard lightly. The most powerless among us are poster children for the Kingdom of God. And we ought to be more attached to each other than to our wealth. These are timeless lessons many of us seem never to learn. Martin Luther King, Jr., taught such lessons in April 1967, when he denounced U.S. involvement in the Vietnam War, and he lost much support. Those who, for moral imperative love of country, criticize the government, especially during time of war, run the risk of incurring the wrath of jingoists. Nevertheless, a basic truth remains: People ought always to be valuable for who they are, never as financial commodities one can discard casually. A person’s true worth is incalculable, for there is no spreadsheet designed to record such data. So, O reader, the next times you look around and see other people, ask yourself how valuable they are to God, and so ought to be to you.